Welcome Home to the Best kept secret in Columbia!!! Stunning one third of acre plus Lots on private drive in secluded subdivision.No CPRA Fees and No HOA Fees!!! 1 Minute from I-95 puts you in a perfect position to reach D.C, Baltimore, Annapolis and Fort Meade. Walking distance to Columbia Restaurant Park and Costco. Why buy an existing home when you can personalize and build your dream home for less! !Howard County Schools are ranked #1 by Niche. A. Lot Size: 15364 SF B. Total square footage of finished space: 5875 SFC. Above grade finish space: 4210 SF - 1st floor 2020 SF - 2nd floor 2190 SF Basement finish space: 1687.00 SF - - Utility room: 355 SF. Garage: 435.75 SF. - Front Porch: 43.75 SF ---- 1 Nine feet high, Basement, First Second floor ceilings. 2 Maintenance free, all brick front elevation. 3 First floor: Kitchen, In-Law suite w full bath walk-in closet, family room w fireplace,cathedral ceiling breakfast room, powder room, dining room and library . 4 Second floor: 4-BDs, 3-full bath w ceramic tile flooring, loft living area. 5 Finished Basement: 2 BDs, 1 full bath all rough-ins for a kitchen utility room w/Washer Dryer hook ups exhaust. 6 Huge master BD w/in closets, M bath: Jacuzzi w in-line heater, shower w rain shower head glass door, double sink vanity, mirror. 7 Eat-in kitchen w island, granite counter-tops, 42~ wall cabinets with complete stainless steel appliances package; free standing range w oven, microwave with exhaust fan, side by side refrigerator w ice maker, dishwasher, double sink w garbage disposal. 8 ENERGY EFFICIENCY PACKAGE:~ Direct venting gas fireplace glass doors.~ Two zone air conditioning systems w Programmable Thermostat.~ 2015 Thermal Insulation code: R-30 Insulated Master BD floor over the garage,R-21 exterior walls R-38 blown-in insulated ceiling over raised heel trusses w/rafter vents and ridge vents for a natural air flow in the attic.~ All tilt-in low E argon gas filled windows.~ Insulated core, fiber glass entry door w sidelights. 9 All hardwood flooring in first floor. 10 Ideal Dining room for 12 chair rectangular/ oval dining table. 11 Interior Molding package; door/window casing. 12 Door knocker, handle set all faucets, stainless steel w brushed chrome finish. 13 Finished two car garage, door w windows remote door opener. 14 Wall mount laundry sink and faucet. 15 Gravity sanitary sewer system; no ejector pump, no sewer pit in basement. 16 Two 50 gallon water heaters for quick recovery. 17 Two hose bibs front and rear. 18 Fire sprinklers according to the latest codes of Howard County. 19 Phone cable pre-wires. 20 Full 2nd laundry room in the basement 21 Quality inspection process for over 50 phases of construction. 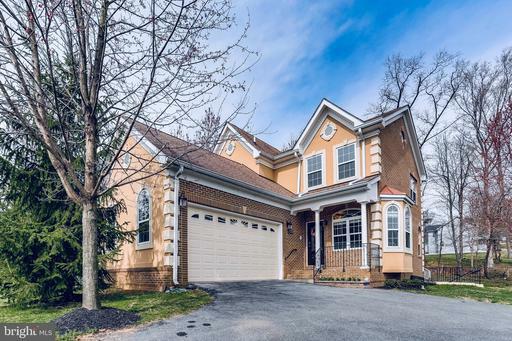 Listing Broker: Fathom Realty MD, LLC. Favorite 55+ Active Adult community: Brick End unit villa, backing to Conservation Woods, in super convenient location. Enter the community passing the Guardhouse Gate, notice the close-by Clubhouse where fun activites are planned by 2 Lifestyle coordinators, heated outdoor pool, fitness center patio lounging! Villa has 1st floor Owners Bdrm and Upgraded Bath, work from home in the Main floor office with Plantation Shutters, Hardwoods abound in Foyer, Office, LR/DR, Kit, Owners Suite. Cozy Gas Fireplace in LR. Kit has Granite Counters mostly new Appliances: double-drawer Dishwasher, Built in Microwave Oven w/convection, Gas Cooktop, Refrig, spacious Pantries- one has Washer/Dryer hookup for main level laundry convenience. Slider from Kitchen leads to sunny deck wooded view. Owners suite includes beautiful hardwoods, walk-in closet Owners bath has double sinks custom walk-in luxury shower Stained Glass window. Upstairs is a comfortable loft with bookcases for ideal reading/TV spot. Additional Owners bedroom on 2nd floor is spacious with several closets with custom organizers. Owners bath with double sinks, shower, also has a super convenient Washer/ Dryer. Top level has a HUGE walk-in Closet-Room 3rd Bdrm Lg Bath w/tub. Lower Level you find the space to entertain or have guests stay, also extra den/office full bath ample storage. Home warranty is included. This is the villa you have been waiting for with beautiful wooded views and 2 owners suites: on main level upstairs! Immaculate 12 years young custom built home situated on a half acre lot. Exterior features maintenance-free brick and stucco combination. Interior features beautiful finishings, open floor concept, hardwood floors throughout main level, quality cabinets in kitchen and all bathrooms, custom windows, granite countertop, stainless appliances, tray ceilings, marble tiled bathrooms, fireplace, first floor office, deck off of dining room and family room, crown/chair rail moldings, finished basement with full bathroom, recessed lights throughout main level and basement, intercom system throughout the house. Fresh paint. New HVAC 2018. Shows like a model! Conveniently located. No HOA/No CPRA! Elegance abounds !! End unit brick front home in 55+ adult community. Backs to woods open space rarely available Impeccably maintained by original owners . 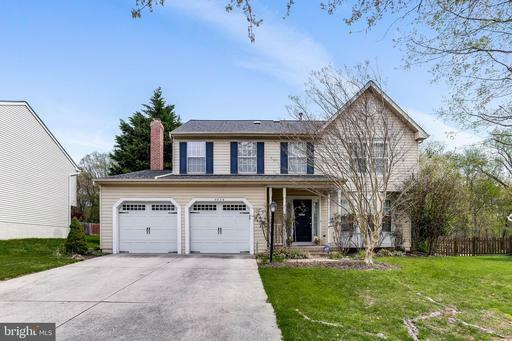 First floor has expansive light filled living room with gas fireplace, dining room,gleaming hardwood floors, office with bay window, luxury master suite with upgraded master bath .Kitchen has newer SS appliances, Corian counter tops. Bright eat in area with French doors opens to enlarged private deck view of woods Upgraded bathrooms with granite ceramic. 1st floor laundry W/D included Upstairs loft /library/lounge. 3rd bedroom,2nd Master suite huge storage closet Walk in closets have custom organizers. Lower level has large clubroom with full bathroom, office custom bar. Exit to beautiful back yard. Lots of guest parking .Clubhouse . heated pool Much more..Gated security . Active Adult Nghd, End Unit Villa built by Lennar. Features: Open Floor Plan has LR/DR/KIT Hardwoods w/ 2-sided Fireplace to SunRm , Main Level Office, 1st floor Laundry. Owners Suite on Main Level, Walk-in Closet Lg Bath w/ Walk-in Shower. Open Kit w/ Granite Stainless Appliances Lg Pantry. Two Bdrms Bath upstairs. Expansive Lower Level with Walk-up Exit, Full Bath Extra Storage areas. Very Active Clubhouse: Heated Outdoor Pool, Fitness Ctr, Billards Activities. Guard at Gate in Evenings. Hurry! This colonial has it all! Sophisticated and elegant throughout. The main floor features hardwood floors mostly throughout, an upgraded kitchen with custom cabinets, quartz countertops, stunning backsplash, a large center island perfect for entertaining. The kitchen is open to the family room which is perfect for those large family gatherings and features a lovely fireplace with stone surround. The basement is an entertainers delight leading out to a spacious tree lined backyard. Some of the highlights include 24~ x 16~ New Trex deck in 2017 leading down to a paved patio. New HVAC in 2014, 50 year roof installed in 2016 and warranty is transferable to the next lucky owner! This is the one you have been waiting for! Come see it before its gone! Come and check this beautifully customized house in great location with 5 bed + 4 full bath. Two master suites on each floor. Master bathroom has dry sauna, steam sauna, and couple jacuzzis. 1st floor has 3 bedrooms with heated floor. 2nd floor has a wet bar and big family room w/ little balcony, Fenced yard has cozy deck and patio off the stunning gourmet kitchen bar. You will be speechless! Pristinely maintained home nestled in the Village of Longreach offering custom quality updates including 2013-2019: kitchen, bathrooms with custom vanities, hardwood floors, interior painting, upper level bedroom doors, washer and dryer, roof, and screened porch. Prepare gourmet meals in the award winning kitchen featuring quartz counters, energy efficient stainless steel GE Caf~ appliances, custom center-island, decorative tiled backsplash, under cabinetry lighting, double oven, recessed lighting and a casual dining area. The expansive master suite highlights a walk-in closet, vanity area and an en suite tastefully updated bath complemented with double vanities with quartz top and a tiled tub and shower. Three graciously sized bedrooms and a full bath conclude the upper level. The finished lower level boasts a recreation room, custom dry bar, laundry room, a powder room and storage. Host the best barbecues from the comfort of the inviting screened porch, deck, or patio overlooking manicured grounds. Simply remarkable! 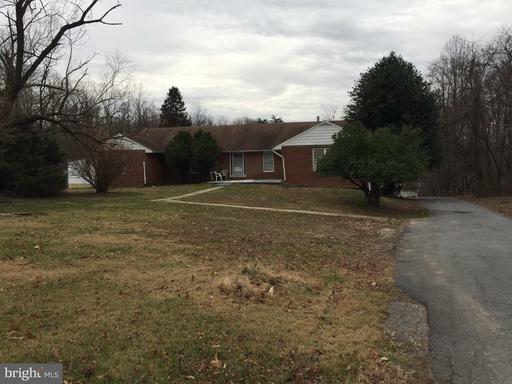 Welcome to this well maintained home in the heart of Columbia. 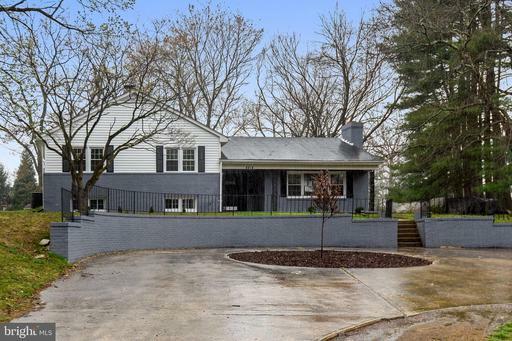 Home is walking distance to community pool, Lake Elkhorn, parks and trails. Close to 29, 95, 100 and other major routes. Master bedroom offers a walk in closet, cathedral ceiling luxurious bath. Home is freshly painted, granite and corian counter tops in kitchen, with new stainless appliances. Home has ecobee 4 thermostat with in room sensors, ring door bell and key less entry system. Recently updated deck with trex coating. Custom finished walk-out basement with wet bar and storage area. Open House Saturday April 13 from 12-3 and Sunday 12-2 April 14th. Gorgeous 4 bedroom home with large in-law suite. Main part of the house has beautiful hardwood flooring and has been freshly painted. The master bedroom as well as another bedroom both have access to the upper balcony overlooking the large landscaped front yard. The in-law suite is located on main level and has a kitchenette, full bathroom, laundry, living area and private deck leading to the backyard and pool. Fully fenced yard gives plenty of privacy to enjoy the pool and quiet yard. 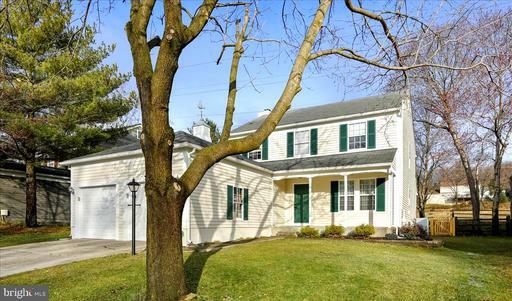 WELCOME HOME to this lovely colonial nestled in the desirable community of Glenmont! Step into the bright and spacious formal living room and dining room with wide plank hardwood floors and beautiful bay window. Kitchen includes a walk-in pantry, stainless steel appliances, maple cabinets, and Corian countertops. HUGE family room boasts gorgeous hardwoods and a sliding door that opens to a screened deck and fenced-in backyard. Relax in your master bedroom retreat, which includes a luxurious marble master bathroom with double sink and walk-in closet. Carpeted lower level includes built-ins, rec room, full bath, den/5th bedroom, and workout area. Recessed lighting and lots of closets, too. HURRY! 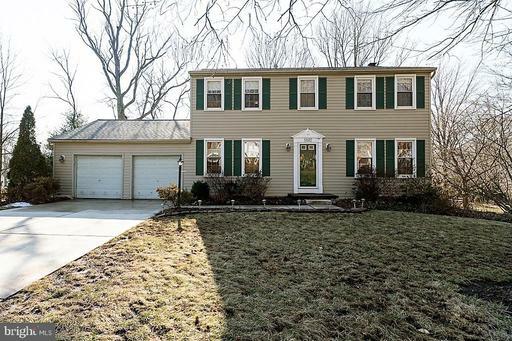 At this price and condition, this home will sell FAST. Call to schedule your showing TODAY! Well Maintained Gem! Spacious 4 Bedroom 3.5 Bathroom In Superior Location! New Roof. Hardwood Floors. Granite Counters. Cozy Wood Burning Fireplace. Vaulted Ceilings. Master Suite with Sitting Room and Spa Bath. Game Room. Tiered Deck/Patio Combination For Relaxation or Entertaining. Quiet Cul-de-sac in Great Neighborhood. Youll Love Living Here! The Short Sale has been in process - A Contract for the asking price should be approved quickly! 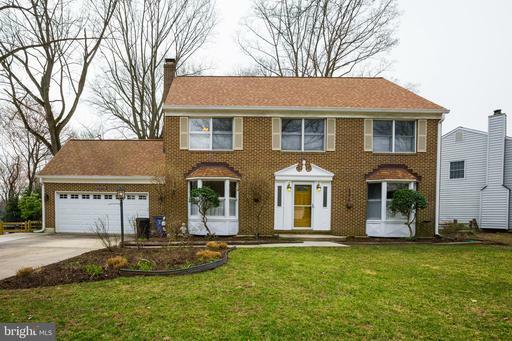 Charming Colonial with 4 large bedrooms. Updated Kitchen with stainless steel appliances, built-in refrigerator and hardwood floors through out. 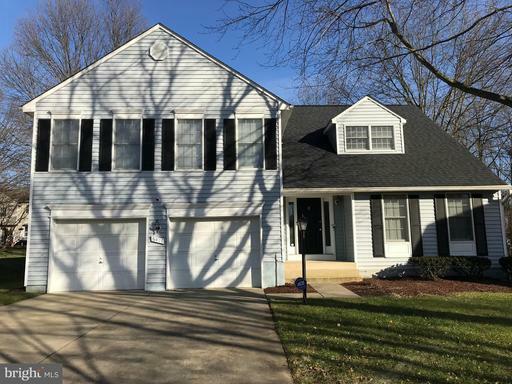 New roof July 2018, large Master Bedroom with walk-in closet, lovely Family Room w/ wood burning fireplace opens out to large deck Hot Tub, neutral Decor through out, new carpet on upper level, newly painted main and upper levels, Uber-convenient Columbia location...the list goes ON AND ON! 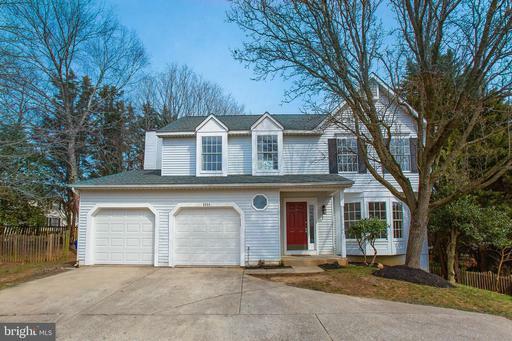 Charming 4 bed 3.5 bath in Columbia with an open floor plan! Updated interior with granite counter tops, beautiful flooring, stainless steel appliances, separate laundry room! Large master suite with walk in closet and soaking tub! Finished walk out basement with a large rec area and a bed and full bath. Deck backs to woods! Close to commuter routes and restaurants and shops! 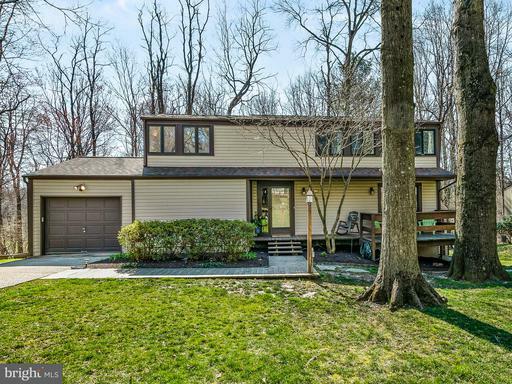 Welcome to this beautiful oasis in the heart of Columbia, Maryland that you can call home! 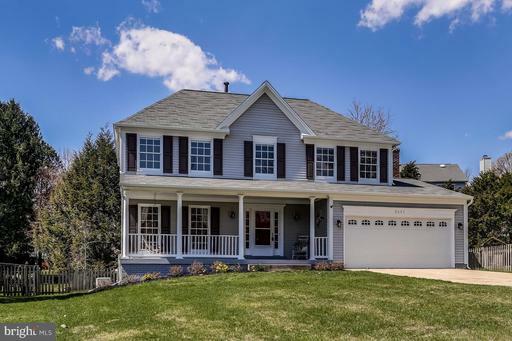 Located in the desirable neighborhood of Long Meadow, your potential new home is perfectly nestled at the end of the street and deep within this wonderful Howard County community. Great care has been made to create a "Ready to move in experience" that will feel like youre truly getting a new place to live. In addition to fresh paint throughout, major upgrades include newly installed hardwood floors on the main level, new wall to wall carpeting throughout the second level and lower level, all brand-new appliances in the completely modernized kitchen, along with newly outfitted and tiled bathrooms, newly installed sliding glass doors, and new HVAC and a new roof that were both installed in late February 2019! This classic floor plan is upgraded throughout all 3 levels. The kitchen features granite countertops, a convenient breakfast bar, and white Shaker-style cabinets. The adjoining family room provides access to a huge deck that overlooks a fenced backyard and lower tiered brick patio. The dining room and living room both boast bay windows that provide extra space in each. The second level has 3 bedrooms along with a master suite with an attached full bathroom containing new double sinks, granite countertop, and a newly installed shower that has been customized with tile. The finished lower level offers plenty of recreational space, a wet bar, and a spacious bonus room with a closet. Step into the utility room and discover a brand-new washer and dryer. On top of all these new features, there is no CPRA fee for residents in Long Meadow! Its the perfect scenario to living well in Columbia! Welcome Home! New kitchen with stainless steel appliances, new hardwood flooring and carpeting throughout, new custom bathrooms, new laundry room, new HVAC system and much more!! 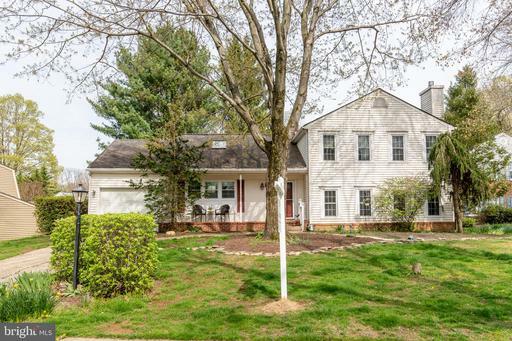 Beautiful house in a beautiful setting located in the Oakland Mills community! The neighborhood possesses charm with tree lined streets and manicured lawns! The property features on the upper level - a master suite and 4 additional bedrooms, custom hallway bathroom, laundry room and closet space. The main level includes hardwood flooring in the formal dining area with crown and chair molding to the gourmet table space kitchen which features S/S appliances, granite counter top, recessed and pendant lighting. There is a powder room off the kitchen next to the entrance of the 2 car garage! The lower level is fully finished with wall to wall carpeting, recessed lighting and a full custom bathroom! There is a deck located in the rear yard off the family room. This charming home offers updated interiors! Open family room with wood burning fireplace offers access to elevated deck, ideal for entertaining on beautiful summer days! Large, eat-in kitchen with maple cabinetry and stainless appliances. Separate study filled with natural light! Owners suite with standard and walk-in closets attached bath with gorgeous custom tile work and frameless shower! Finished walkout lower level with rec room, full bath additional storage! Fresh paint, updated baths, new carpet, and new lighting throughout! 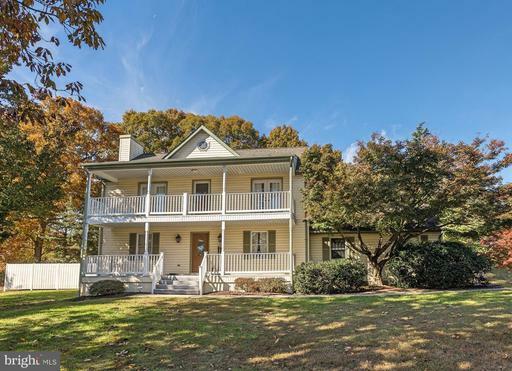 OUTSTANDING COLONIAL NOW AVAILABLE IN SOUGHT AFTER COLUMBIA! 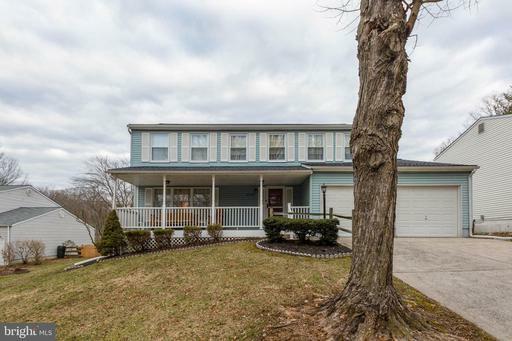 METICULOUSLY MAINTAINED HOME FEATURES 4 BEDROOMS, TWO FULL BATHROOMS AND 2 HALF BATHROOMS. HARDWOODS THROUGHOUT FIRST FLOOR OFFER WARMTH AND LEAD INTO STUNNING GOURMET KITCHEN WITH STAINLESS APPLIANCES AND GRANITE COUNTERS. COZY LIVINGROOM FEATURES WOOD BURNING FIREPLACE. FINISHED BASEMENT OFFERS PLENTY OF SPACE TO ENTERTAIN AND FOR STORAGE. RETREAT TO THE TOP FLOOR WITH 4 LARGE BEDROOMS. SPACE OUTDOOR OASIS WITH LARGE YARD BACKING TO TREES, SPACIOUS PATIO, KOI POND, AND PROFESSIONAL LANDSCAPING. NO CPRA! Fantastic layout and schools! Have you been waiting for a home that has it all? 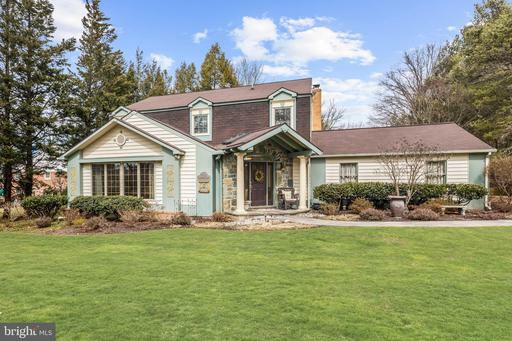 Presenting this delightful detached residence that has a TON of unique character! Its definitely one that checks all the boxes AND so much more. Lets start with the basics: Offering the desired package of 4 bedrooms, 3.5 bathrooms and a HUGE finished basement. But this home is not like all the others! A complete entertainers dream house inside and out, it can accommodate every personality and lifestyle!Love the outdoors? The screened porch with vaulted ceilings, multi-level decks and huge level ~fully fenced~ back yard that is over a third of an acre will convince you that youre on vacation every day! Completely updated and remodeled kitchen and family room with a wood burning fireplace to snuggle up on those cold Maryland evenings. Must visit in person to appreciate all the unique qualities including your very own solidly built ~Irish Pub~ ready to accommodate your own memorabilia. Why be boring when you can be incredibly interesting instead? SO MUCH SPACE to spread out with over 2,500 sq feet of living space on three levels. Update list is a mile long including the kitchen, new roof, driveway, HVAC, water heater, and high efficiency windows. HUGE 2 car garage, main level laundry, pristine work room and a potential 5th bedroom in the ~walk out~ lower level. The possibilities are endless with the great layout at 5592 Eaglebeak! 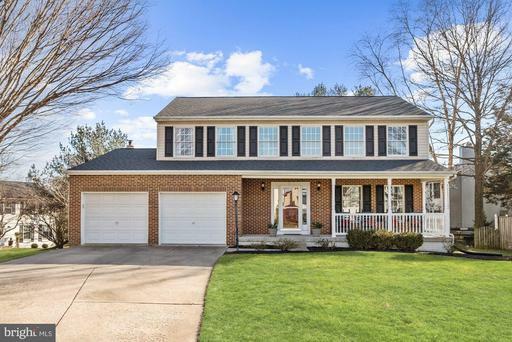 Top ranked Howard County schools and super convenient location to restaurants, shopping, recreation and commutes to Baltimore, Washington, Annapolis. 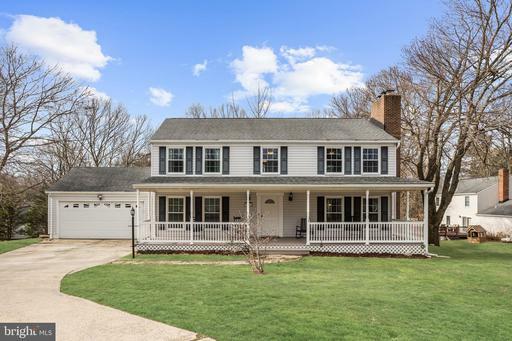 Beautiful Colonial with a two car garage. Kitchen has been remodeled with new cabinetry, granite counter tops, gas stove, stainless steel appliances and Breakfast Bar. Formal dining room, spacious living/family room with wood burning fireplace. Powder room, laundry room and large sunroom off kitchen with access to deck facing large open space and has skylights too, so very nice and bright! Upper level features a large Master Bath with Jacuzzi Tub, Shower and dual closets, 2 additional bedrooms and a hall bath. Finished basement features large Recreation room, den/4th Bedroom, full bath and plenty of Storage. Back of home has a deck, fenced yard backing up to Open Space. PLUS brand new Cedar siding just installed. Brand New Carpet installed on the first and second floor. Beautifully renovated home, fresh designer paint inside and out, high quality carpet in all bedrooms and basement. Master bedroom with custom granite shower and vanity. Premium cul-de-sac location. 2-car garage. Open floor plan with bonus room option off kitchen with stainless steel appliances. Brand new microwave, kitchen sink faucet. French doors to large deck overlooks open space, trees and stream. Close to trail. Basement with 2nd kitchen, bedroom, full bath separate entrance. New: roof 12, windows 13, dishwasher 14, HVAC 15, Samsung refrigerator 16. 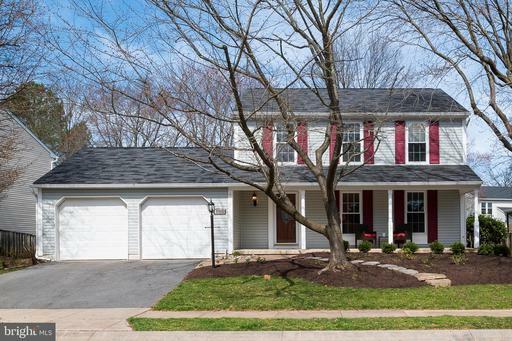 Beautiful Colonial located in the Village of Owen Brown community of Columbia. Enter through the grand front porch to your new home detailed with hardwood floors, crown molding and an open concept floorplan. 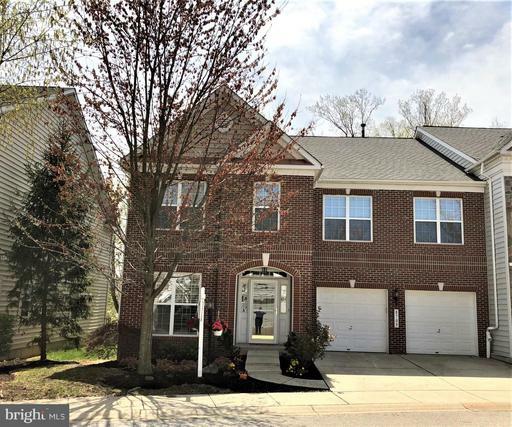 This beautiful home has 2 hot water heaters, 1 is powered by solar panels and the other is electric back up.A custom wall to wall brick and slate fireplace highlight the living room. Segue through the glass French doors to the formal dining room with sliding door deck access. Updated kitchen featuring stone tile floors, stainless steel appliances, oversized breakfast bar island, tile backsplash, that opens to the expansive deck. Remodeled master bath offers heated tile flooring, soaking tub, glass enclosed shower, and a dual vanity. The opulent recreation room boasts a wood burning stove with a walk out to the expansive patio and hike / bike trails. 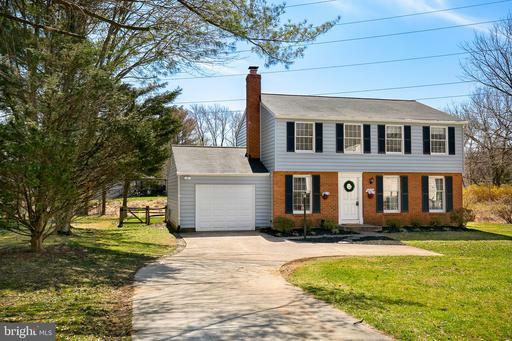 Updates include: roof, windows, baths, flooring, stove and more! Location, location this home is nestled at the end of a cul-de-sac. This three level gem boast a separate dining and living room, a main level office and a eat in kitchen with an adjoining family room. The french doors from the family room leads to the deck where you can enjoy the spacious back yard. This home was freshly painted and has recently installed wood floors throughout. The chair rail crown molding adds additional charm. A fireplace adorns the family room and a first floor laundry room makes this home prefect for any family. This home is move in ready- No Columbia Assessment. 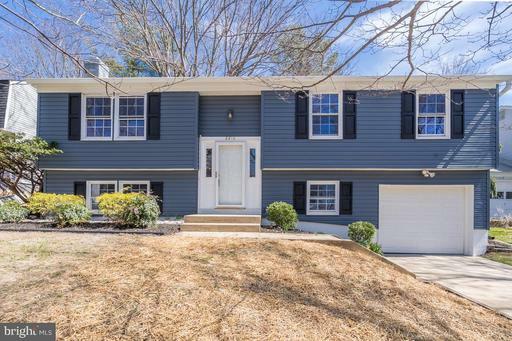 Spacious Columbia home in desirable Phelps Luck neighborhood! This 4 bedroom home features a gorgeous, full renovated kitchen. Main level is great for entertaining with large living room dining room. An expansive screened in porch extends across the back of the house offering tons of extra living space throughout most of the year. Upper level is home to 3 bedroom. Owners suite has private bath and tons of closet space. A few steps down from the main level you will find a cozy family room with gas fireplace and another bedroom and full bath! The laundry room is also on this level and opens to the backyard. Continuing down yet another level, is another large family room, perfect for an office, playroom or even 5th bedroom. The possibilities are endless! New HVAC in December 2016. LOVELY RENOVATED COLONIAL NESTLED IN A COZY CUL-DE-SAC*UPDATED EAT-IN KITCHEN WITH ALL NEW APPLIANCES * GRANITE COUNTER TOPS * BACKSPLASH * NEW CABINETS * ALL NEW FLOORING * FRESHLY PAINTED* HUGE BEDROOMS*LARGE FIRST FLOOR FAMILY ROOM WITH NEW ELECTRIC FIREPLACE * NEW SLIDER WALKS OUT TO STONE PATIO * OVER SIZED MASTER SUITE * UPDATED BATHROOM * ONE CAR DETACHED GARAGE * LANDSCAPING * TERRIFIC COMMUTER LOCATION * COME CHECK IT OUT!! 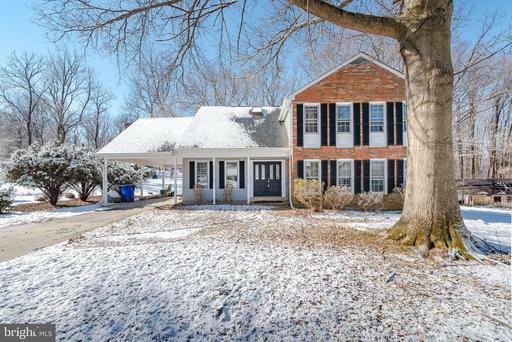 Sought after Colonial on a secluded fenced-in lot in Owen Brown. Some recent upgrades include HVAC 17~, Siding/gutters 18~, Refinished hardwoods throughout the main level and upstairs 17~, Dishwasher 18~, Microwave/Refrigerator/oven 17~. This one won~t last long! 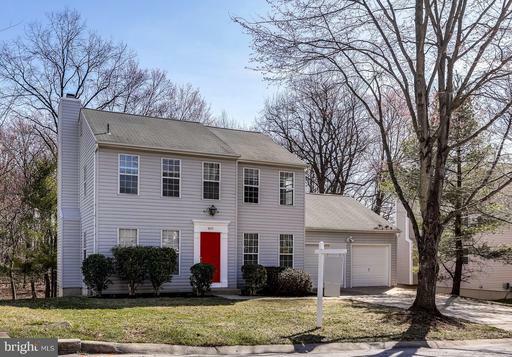 Colonial Columbia Single Family home that is ready to move in before the Spring market hits. Spacious Four Bedrooms upstairs with a true 2 car garage. Large eat in kitchen leading to a large family room. New carpet in Dining room and Living room. Architectural roof is still under warranty and transfers to you when we close. HVAC was replaced in 2017. Seconds away from bike paths that lead to Lake Elkhorn and tot lots. 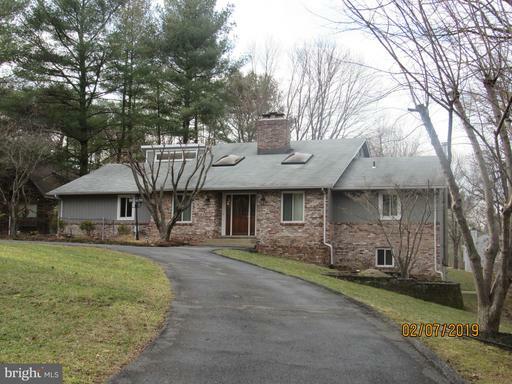 REDUCED TO $449,900 FOR A POST MODERN CONTEMPORARY IN COLUMBIA???? WITH ROOM TO GROW??? WITH UNBELIEVABLE UPDATES???? YES, ITS TRUE! Beautiful updated with custom features and a 1st floor master youll love. Garage electric updated with 240v electric car car charging system! Kitchen has been custom designed with Kenmore Elite appliance including 5 burner gas stove w/warming oven! The kitchen island features granite and a sunken counter area. A new deck, new slider and new roof will ensure worry free living! Open and modern with custom LED lighting, pergo flooring, new paint, vaulted ceilings and wood burning fireplace. The outdoor living is beautiful with extensive landscaping, tiered front yard and front porch. Walk to schools, the nature pond, playgrounds and shopping. This home is efficient, fashionable and functional. Come see it today! You~ll be glad you did! SEWELLS ORCHARD - NO CPRA FEE - BRIGHT SPACIOUS - MOVE in READY! Exterior features a great front porch, screened porch, patio, in-ground pool well cared for, plus privacy awning. Interior has hardwoods, dura-ceramic floors, updated kitchen with quartz countertops with custom built in table and chairs. French doors open to comfortable screened in porch. Cathedral ceilings in family room with plantation shutters. 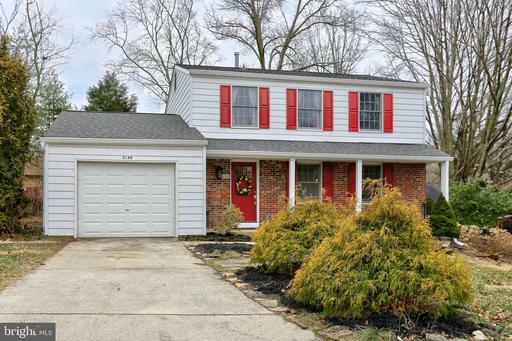 Master bedroom and updated baths on upper level. Neutral brand new carpeting, freshly painted in some rooms. Large recreation room on lower level, plus huge storage/laundry room. 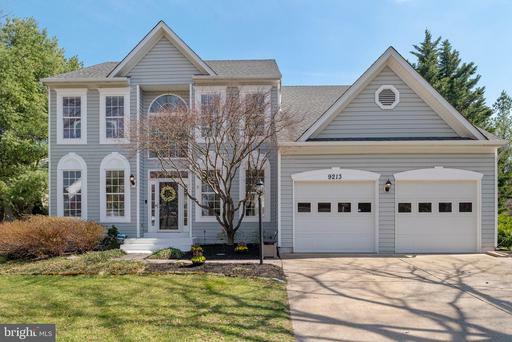 This fantastic, fully renovated, split-level, single-family residence features 4 bedrooms and 3 ~ bathrooms on a quiet, tree-lined cul-de-sac in Columbia~s Long Reach Village. It has been meticulously maintained by its original owner and top local contactors. 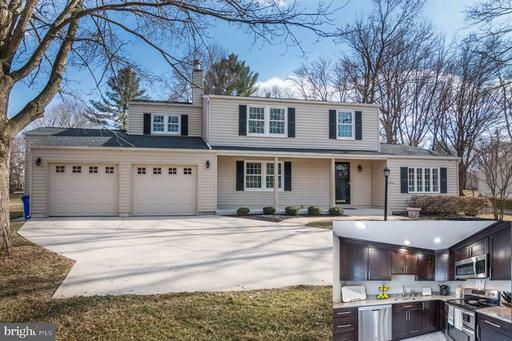 An addition with a full bathroom and separate entrance was constructed in 2012, making the home a roomy 2236 total square feet. New carpet was just installed and the home also includes a gorgeous hardwood entryway and stairs. The home has new interior and exterior paint throughout. Also included is a brand new, high efficiency HVAC system. The recently renovated kitchen features custom maple cabinets, stainless steel appliances and quartz countertops. A fence-enclosed, large, private back patio sits at the top of an expansive back yard, featuring mature trees and serene views. A great place for any kind of play, games, sports activity and leisure. 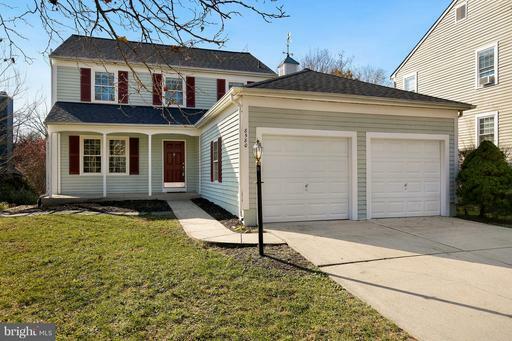 In addition to a bright workshop room and laundry area with sink, there is a wonderful separate finished basement room that can be used as an office, fitness area or den, which includes an updated half bathroom and closet. The home also features high efficiency, triple pane, easy-clean, turn-in windows throughout with a transferrable lifetime warranty. Just a short distance to local parks, bike paths and the idyllic Jackson Pond. Shopping and dining are nearby. RARE OPPORTUNITY TO OWN A PIECE OF HEAVEN IN COLUMBIA! IMMACULATE, TRUE 4 BEDROOM HOME ALL 4 BR ON UPPER LEVEL SITUATED ON LARGE, STUNNING, PRIVATE WOODED LOT! MOVE IN READY! SEE VIDEO WALK THROUGH AT LeafyScreendotcom. Super clean 4 BR/2.5 BA home, over 3000 sq ft., located on quiet street near heart of Columbia. Main level features hardwood floors, open floor plan with separate dining, living and family rooms, TONS of natural light. Large kitchen with lots of storage space, stainless steel appliances. Family room opens up to ENORMOUS partially screened in deck which overlooks the most gorgeous yard ever check out the drone pictures! with stream, creek and walking paths. All 4 bedrooms on upper level are very good size, master bedroom has in-suite master bathroom. Finished walk-out basement with large rec area, plenty of room for entertaining! New HVAC in 2015. 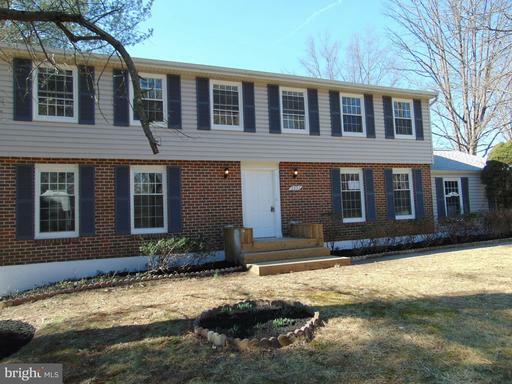 AMAZING location convenient to both Baltimore and DC with easy access to Route 29, 32, I-95 Ft. Meade/NSA. 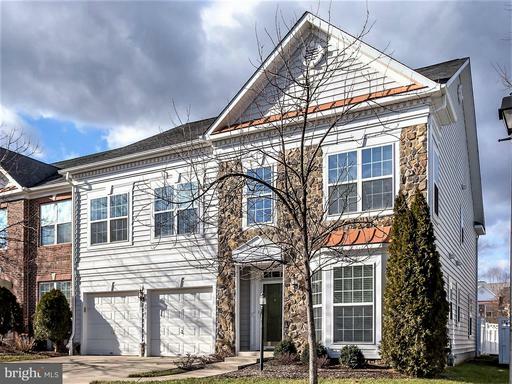 Close to shopping and grocery including Wegmans, Columbia Town Center, Whole Foods, more! Other amenities include nearby lake and walking distance to pool. 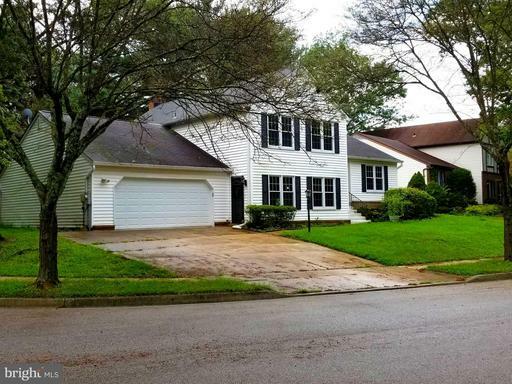 Wonderful rancher in sought after Dalton neighborhood, 4 BR 3.5 BA, large .57 acre level lot, huge backyard, and the home is set back from the street as well. Gleaming hardwood floors, spacious floor plan with room to spare, lots of storage, main level laundry, and a huge covered back porch for entertaining. Kitchen has sunny windows, maple cabinets, and granite countertops; Family room has lovely stone fireplace for cold winter nights, plus an unfinished basement, ready for your own ideas. Easy commute to 29, 100, and 108! No HOA! Roof 2013, R30+ attic insulation 2014; HVAC 2013 - Move in ready! 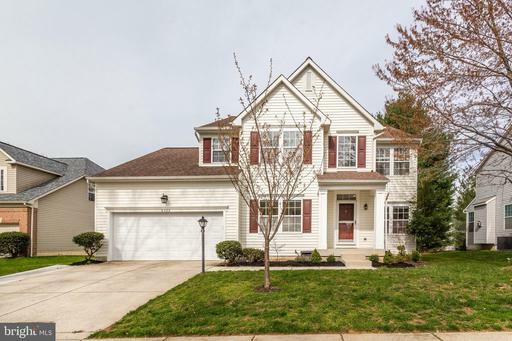 Welcome home to this truly move-in ready and spacious home located in Columbia, MD. Situated on a cul-de-sac in the family friendly neighborhood of Thunder Hill, this 4 bedroom, 2.5 bath home boasts, updated bathrooms, built-in shelving surrounding cozy gas fireplace, large bedrooms, lower level office/study, fresh paint, new roof, updated HVAC, stainless steel appliances, and more. Step outside onto the large deck overlooking spacious back yard, minutes from community tot lot, pool, walking/jog paths and elementary school. 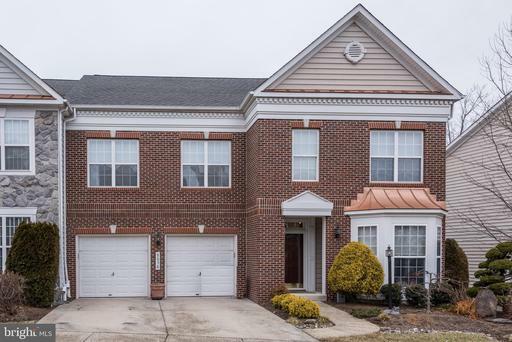 Perfectly set on a cul-de-sac, this brick front 5 bedroom home in Thunderhill is move-in ready! Rich hardwoods throughout. Expansive living room with built-ins. Kitchen with sunny breakfast room and service area opens to FR with cozy brick wood burning fireplace. Owners suite features a walk-in closet, dressing area, and sitting room. Stylishly remodeled bathrooms! Lower level rec room. Welcome home! BACK ON THE MARKET! 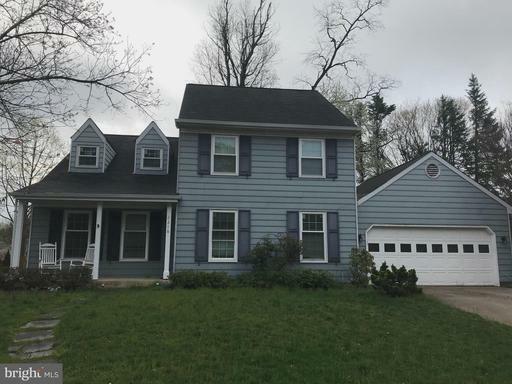 Fell through due to financing- Home inspection done and came back satisfatory-Beautifully renovated colonial home with over sized 800 Sq-ft garage, Large enough for 3 cars 30 X 28. This 2100 SQ.FT home is located on a quiet lot next to open space. Home is very well maintained and features an updated kitchen with built in microwave, upgraded convention double oven, granite counter tops, breakfast bar, newer SS appliances, ceramic flooring and recessed lighting. The sliding door leads to a 17 X 15 screened-in porch with 2 fans and over looks an open field. Large dining room. The Living room has an elegant wood burning stove. Great Family room with Brazilian hardwood floors. Master bedroom has a sitting room and master bath. New carpet in all 4 bedrooms.Newer siding, gutter covers, heating and air conditioning, washer/dryer, front door,windows,alarm system and *** 2013 ROOF with plywood and Timberline HD Lifetime High definition Shingles Advanced Protection Warranty first 50 yrs manufacturing defect coverage non prorated and transferable. Do not miss this true 6 Bedroom Home. It is the only 6 Bedroom in zip code 21045 with all 6 Bedrooms above ground ~ no Basement Bedrooms. 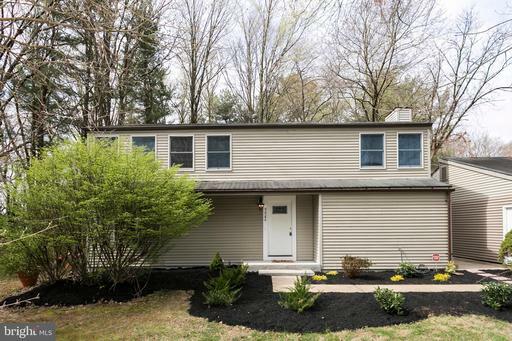 This Home was totally re-furbished in 2018 and includes a completely renovated kitchen with extensive granite counters, spacious new cabinets, and brand new upper grade appliances. 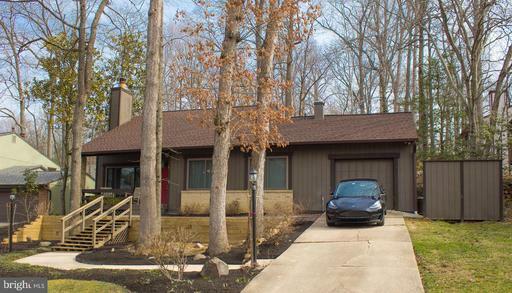 A new furnace and air-conditioning system was also replaced in 2018.Flooring throughout the entire home is plank hardwood that is pet friendly and virtually maintenance free.The home features a separate suite with an entrance off the driveway that would be suitable as an apartment for extended family or as an au-pair dwelling. This apartment has a separate Bedroom and Living Room area, a separate full bath, and a vanity area that could easily accommodate a microwave and small refrigerator to serve as a private kitchenette. The upper level features a Master Bedroom with full private bath and threes regular size bedrooms with a full hall bath. A large recreation room is a few steps down from the kitchen and features a brick fireplace and exit to the rear yard. Another full bedroom with another separate exit to the rear yard is great for an older child or young adult. The brand new heavy duty washer and dryer is located in a utility area between the recreation room and the au-pair suite.The home has a spacious rear yard that is fully fenced making it ideal for pets and secure for children.This home sits on a lot at the end of a quiet cul-de-sac in Sewells Orchard. Sewells Orchard is ideally located just minutes from Down Town Columbia. It has a Columbia mailing address, but is an ~out-parcel~ and not subject to the high Columbia Association fees. However any Howard County Resident can join the Columbia Recreational Association and make use of their extensive athletic facilities, multiple indoor and outdoor swimming pools, and court facilities.Sewells Orchard is minutes from major highways and interstates and a 15-20 minute drive to the Baltimore-Washington International airport ~ one of the most user friendly airports in the nation.Howard County Schools are consistently ranked as some of the best in the nation. 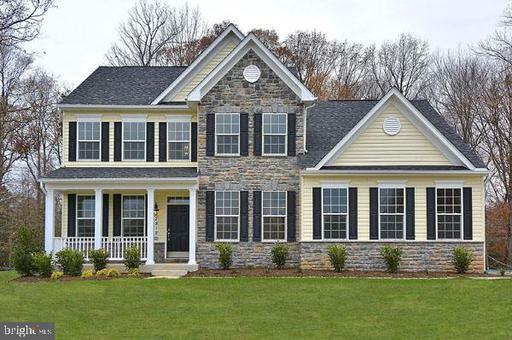 Howard County and Columbia are frequently listed as one of the best places in the country to live. So with a large, reasonably priced single family detached home in a great community with plenty of job opportunities, good schools, responsive government, easy commutes to major cities and day trips galore ~ what~s not to like?This property is vacant and ready for immediate occupancy. Contact Listing Agent for combination and view at your preferred time frame. Easy to see. 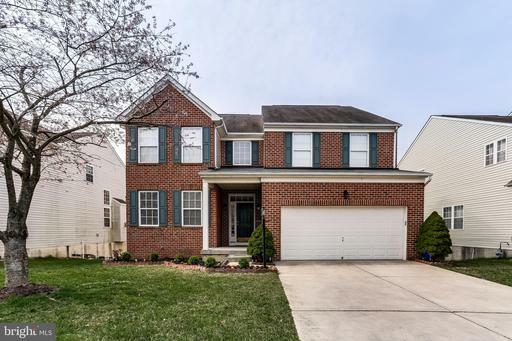 Nestled in Columbia MD, this 2-story, split foyer home is ready for you to move in. 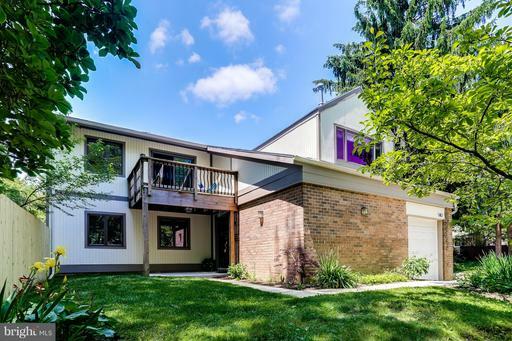 4 bedrooms, 3 updated full baths, gorgeous floors, a bright and spacious open floor plan, and 1 car garage. The fully renovated kitchen is complete with pantry closet, updated appliances, and newly installed kitchen island. The exterior of the home features brand new siding with new Tyvek barrier underneath, new gutters, fascia board and down spouts. The front and backyard have been professionally landscaped to get the home ready for outdoor enjoyment. Minutes from Route 100, Route 28 and a quick 10 minute drive to I-95, this property~s central location is a commuters dream! 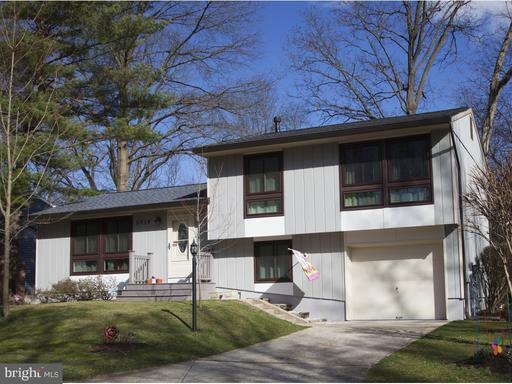 Lovely split level on a quiet cul-de-sac in Columbia with no CPRA! 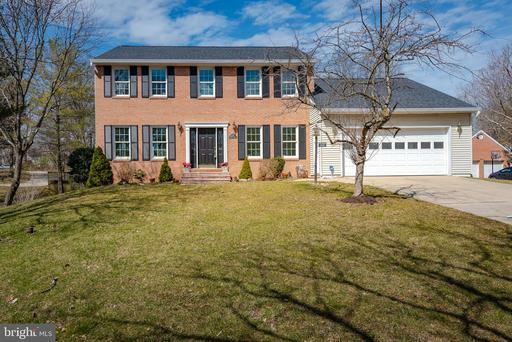 This spacious home offers 4 large bedrooms, 3 full baths, and a 1 car garage. The addition added an expansive master suite with walk-in closets large master bath as well as a huge recreation room with brand new carpet. Additional amenities include brand new floor and backsplash in kitchen, new microwave stove, new washer dryer 2018, brand new heat pump, fresh paint, a fenced yard, patio, and solar panels! Conveniently located near Blandair Park, shopping, restaurants, and major routes. 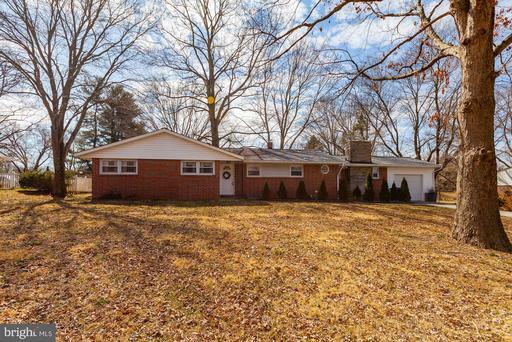 Open House Sunday, April 14th 12 - 2 p.m. ! Sophisticated four bedroom, 3 bathroom home with gorgeous, light-filled three story custom addition designed by Craig Stewart. The 0.3 acre lot is nestled on a beautiful Columbia cul-de-sac. 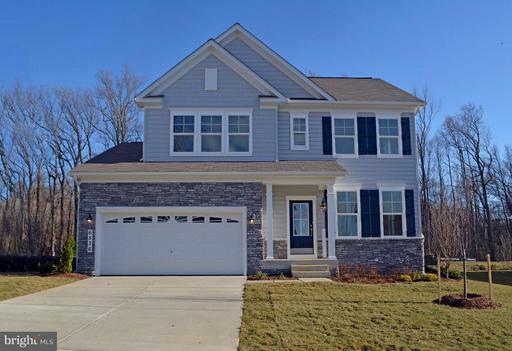 A brand new driveway, extensive landscaping, and front porch greets guests to the front door. The foyer and main living level are open and bright. 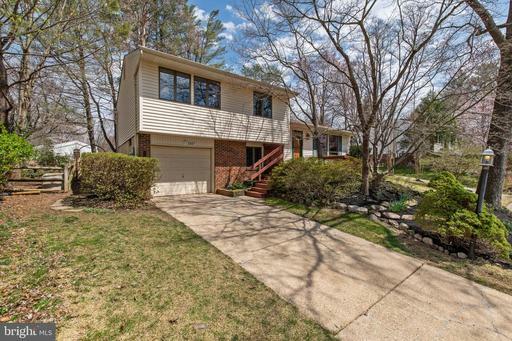 Hardwood flooring, neutral carpeting, fresh paint, lighting, and built-ins are throughout. The loft and fourth bedroom overlook the main level and feature new carpet, skylight, built-ins, and storage running the width of the house. Dramatic windows and sliding doors overlook the premium lot backing to wooded open space. The screened porch and large deck provide outdoor living space to relax and enjoy the view. An updated kitchen features quartz counters, GE stainless steel appliances, backsplash, white cabinetry, and breakfast room. The hall bath has been recently renovated. 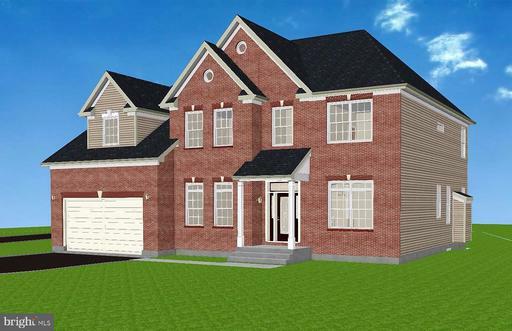 The Craig Stewart addition features a two story family room with hardwood flooring. A master bedroom suite below features a full bathroom, walk-in closet, and dressing area. Bedrooms two and three share a bathroom. The lower level utility room has a washer, dryer, second refrigerator, and allows easy access to the large outdoor shed. 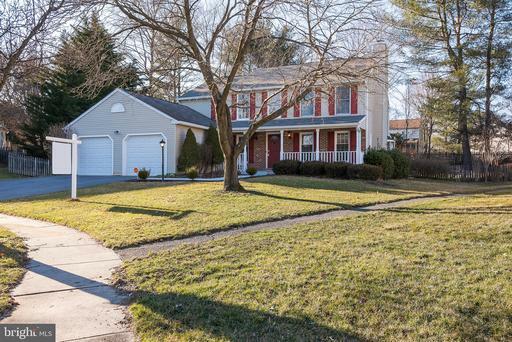 Commuters love the location nestled between routes 29 and 95. The neighborhood is also convenient to Columbia~s acclaimed schools, shopping, entertainment, and restaurants. A one year 2-10 HOME WARRANTY is included. UH-MAZING home... really! A 3 bed, 3 full bath split w/ contemporary feel. Soaring cathedral ceilings and SPEC-TAC-U-LAR great room addition - including stacked stone fireplace. Bright, updated kitchen with granite, double oven, gas cooktop. 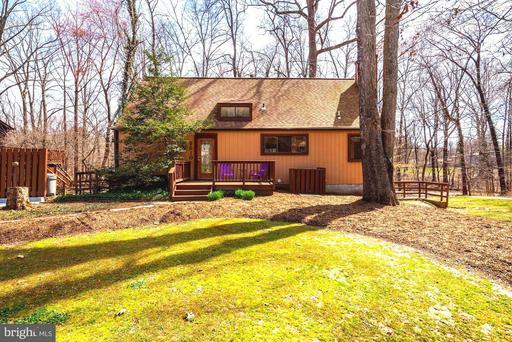 Walk out to a freshened deck with hot tub that backs to Columbia open space and tot-lot. Updated full baths. Hardwood floors in all bedrooms. Family room with wood-stove and carpet. Lower level has den, laundry, and tons of storage. All located on legendary cul-de-sac Sleeping Dog Lane where community is alive and well! Why are you still reading this? Call to schedule your showing today! Pages: 4 Page: 1 2 3 4 See more homes at one time! Change to 10 12 30 40 50 70 100 150 homes per page.